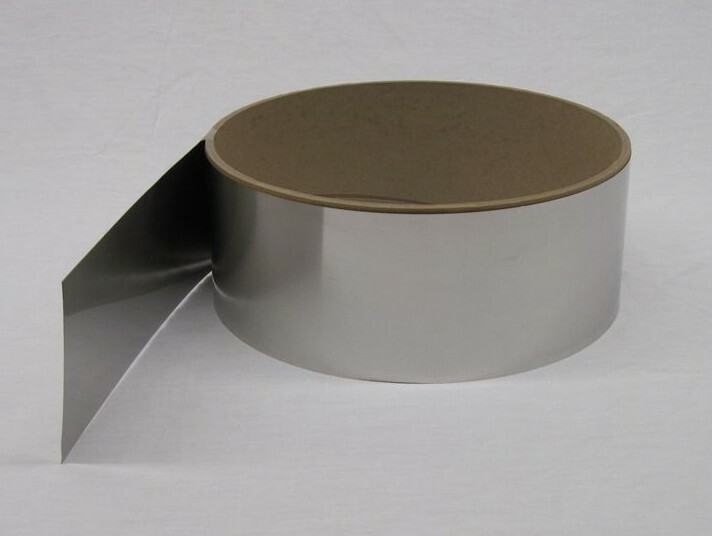 Available as stress annealed (partially annealed for ease of machinability) sheet stock is used for fabricated shields such as enclosures, cylinders, cans, channels or 3D boxes. Typically, atmospherically controlled annealing is required after stamping, machining, bending, rolling or welding to provide maximum shielding performance. MuMETAL® Stress Annealed alloy is available in many forms, but most shields are fabricated from our sheet stock in gauges from .014″ to .062″ thickness [0,36mm to 1,57mm]. MuMETAL® Foil is fully annealed and available in stock guages from .002″ to .010″ thickness [0,05mm to 0,25mm]. MuMetal Foil – Magnetic Shield Corp.
MuMETAL® is typically stocked in a stress annealed state to allow further fabrication, stamping, severe forming or welding. During fabrication, a material’s grain structure is weakened. After final fabrication processes are completed, grain structure is then modified by controlled atmospheric annealing to relieve stress in the material, resulting in larger grain structure, softer temper, and ultimate shielding performance. Although MuMETAL® is available in many forms, most shields are fabricated from foil or sheet stock. When your shield design requires severe forming, stamping and/or welding, specifying MuMETAL® on your drawings insures you will receive the highest level of initial permeability and shielding efficiency available. And, MuMETAL® is formulated and manufactured to exacting standards which allow consistent fabrication and final anneal. Not only does Magnetic Shield Corporation offer MuMETAL® alloy, we can provide a full range of manufacturing services. From your drawing or sketch, we can waterjet, laser, EDM, shear, slit, punch, blank, stamp, chemical etch, form, bend, roll, spot-weld, heliarc weld, and/or laser weld. Using MuMETAL® alloy, we can produce complete magnetic shields, to your drawings or specifications. MuMetal is a Registered Tradmark of Magnetic Shield Corporation. MuMetal® MuMETAL® is used primarily in low intensity fields where high attenuation, high initial permeability and high shielding efficiency are desired.